Everyone must be yearning for a first-period lecture these days—after all, the lecture theatres are the only places with air-con in the early morning (in fact, even the 4th floor of the crystal palace is not spared). A tutorial would mean sitting in a hot, stuffy classroom (the fans are not of much use, especially if the sun is shining right at you through the windows) and sweating through a shirt or blouse. Given this, turning off the air-con for the first fifty minutes of every school day isn’t really a fantastic way to save. Here at Raffles Press, we’ve come up with a few better ways for the school to save. 1. Adjust the air-con temperature! We don’t want to sound like a bunch of whiners, but some classrooms are freezing cold when the air-cons are turned on. That’s right, not just one, but TWO air-cons. With an average class size of about 20-odd people, there just aren’t enough humans to give off heat to offset the cold. Now, this would change if we were actually allowed to increase the temperature to an optimum of 25 degrees Celsius, in line with NEA’s recommended guidelines. For each degree increased in temperature, $25 is taken off the yearly bill. Multiply that by two air-cons in 62 classrooms (in Blocks A and B only), and we have savings of $3100. This will also save us the trouble of taking our jackets on and off. After all, what is air-con if no one enjoys it? Every year, all of us get new handbooks, regardless of whether you’re a Year 5 or 6. 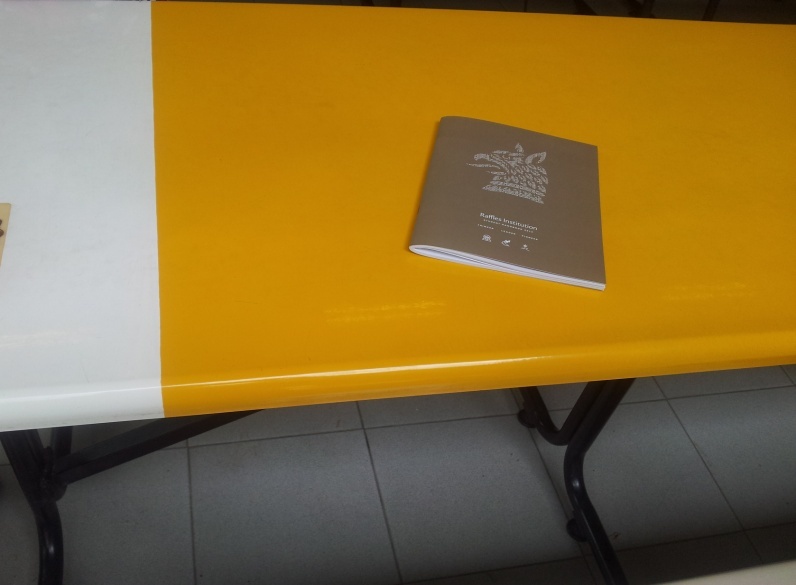 While there is a need for the Year 5s to familiarize themselves with school rules, the Year 6s don’t need two copies of the same booklet (which many people don’t read anyway). A Year 6, who declined to be named, said: “I’ve only flipped through [the handbook] in passing, it now permanently inhabits a corner of my room and I have no idea where it is”. Clearly, the online version on Stamford’s Resources is enough. 3. Why the LCD screens? 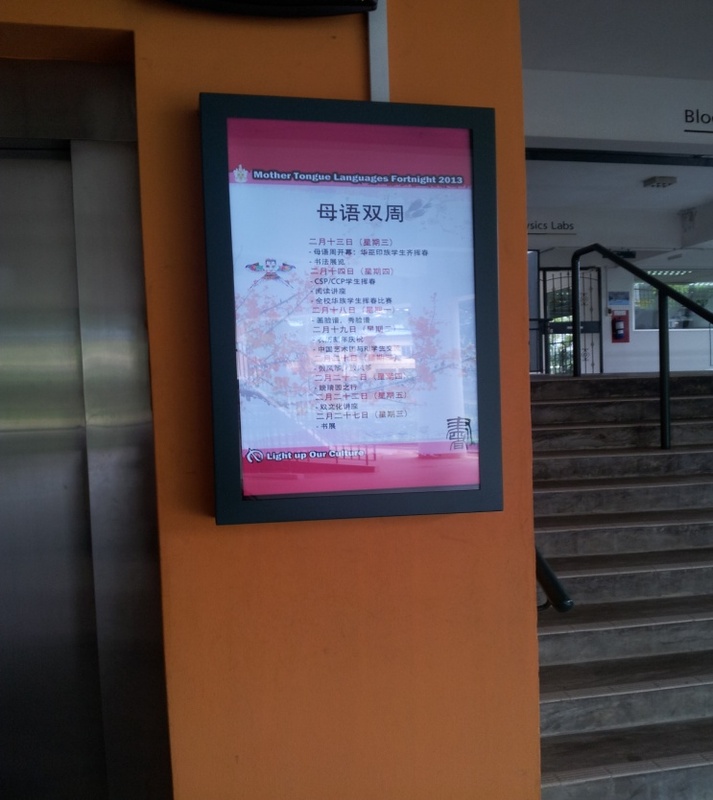 The new LCD screens advertising school events haven’t gone unnoticed, but most people wouldn’t give it more than a glance while walking past. Having gotten most of our information on school events from Facebook, Twitter and even the projector screen in the canteen, the screens don’t really serve any purpose. A Year 6, who wished to remain anonymous, said: “I don’t find [the screens] to be particularly useful, but that could be because I never look at them. It would be more functional if it had a navigation function, but that probably wouldn’t help much in the way of costs”. A lot of money could have been saved if they weren’t installed. Who looks at this anyway? Many people don’t know this, but the Team Raffles shirt day that we have now has its origins in what was previously Eco-Wednesday. Back in 2009 and 2010, the air-cons were turned off in tutorials on Wednesdays, and for that reason, became a dress-down day for both teachers and students. It was eventually scrapped as the air-cons had to be turned on during the Hungry Ghosts Festival to prevent incense smoke from getting blown into classrooms through the open windows. However, it’s a better way of cutting electricity costs compared to the current Eco-first periods. More money can be saved: As a huge part of air-con costs is the initial ramp-up to cool the room, switching off for one period doesn’t actually help much. With Eco-Wednesday, the air-cons are saved from ‘ramping-up’ for the entire day, and less electricity costs are incurred. Also, being able to wear the Team Raffles shirt means that students don’t suffer as much from the heat, and the teachers won’t mind having another dress-down day (on top of Friday). So, revive Eco-Wednesday! 5. Take a walk at Take 5! The time spent queuing for the Sentosa Express could have been better used taking a ‘leisurely stroll’ or ‘experiential walk’ (as the Sentosa website puts it) along the Boardwalk. It has two-way canopy-covered travellators, features five tropical landscapes indigenous to Singapore, AND most importantly, costs only $1 to enjoy. This is considerably cheaper than the Sentosa Express, which costs $3.50. With the school sponsoring 5000 tickets, opting for the Boardwalk would help to save…a whopping $12,500! For those who aren’t keen on admiring the pretty flowers along the Boardwalk with thousands of people, however, a swim to Sentosa Island can be considered. Hi Sarah, while Facebook, Twitter and canteen projection screens are great for the events that are of direct interest to Year 5-6 students, the TV screens exist to give everyone (staff, students, visitors) a sense of what’s happening in the life of the school. We don’t expect everyone to be interested – far too much going on already what with lessons and CCAs and a busy social life – but it’s there as a quiet service, and it would be nice if it was appreciated for that, rather than dissed.